Stephanie Wilger, NC, on “Right On Time Dating!” with host Ronnie Joy, The Midlife Dating Coach. With the egg as your guide, explore your current emotional terrain. 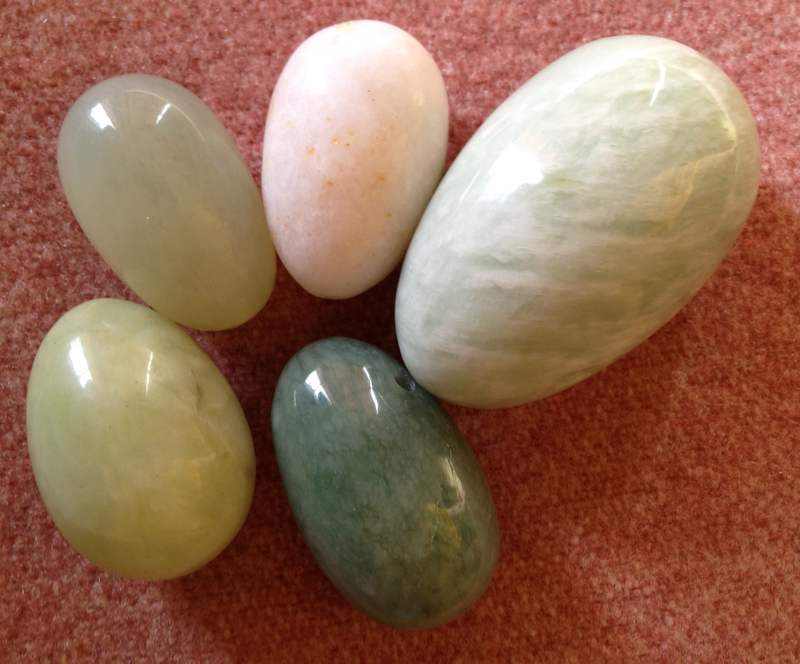 The jade egg heals first emotionally, then physically, bringing greater life force to the reproductive organs, pelvic floor, you! The possibilities for personal growth, protection, strength, healing trauma, being savvy in relationship, increased reproductive health, build with regular (weekly) use.